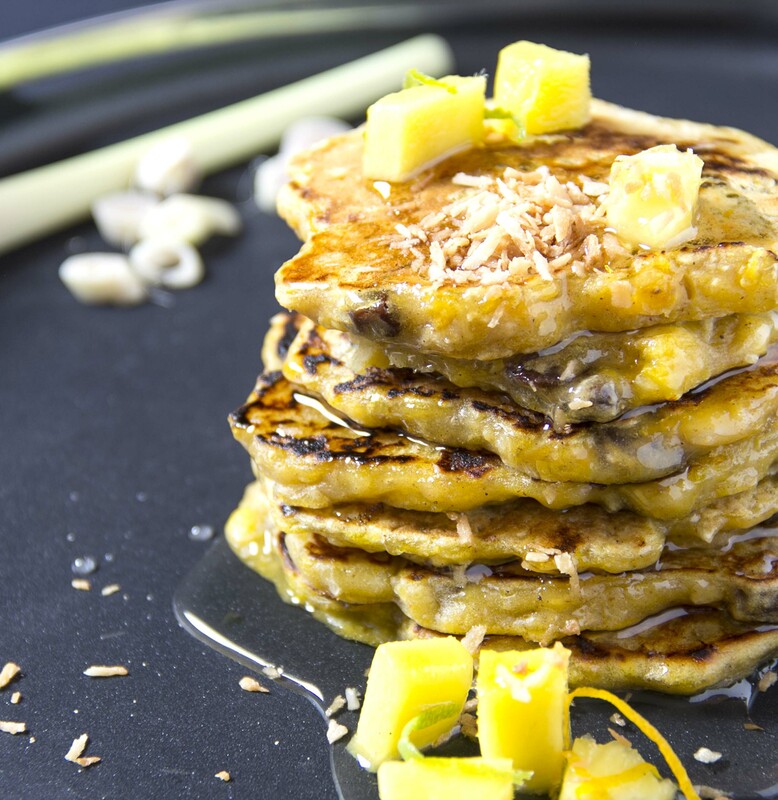 Tatale is normally a savoury pancake but it enjoys a sweet make-over with coconut and spices. Peel the plantain and mash the flesh in a bowl. Sift in the flour and add the remaining ingredients, mixing to form a batter. The batter should be the consistency of a scotch pancake mix. You can add a little water if you find it too thick. Heat a large pan, brush it very lightly with just enough oil to stop the mix sticking then pour half-cups of the batter into the pan to form individual pancakes. Cook over a moderate heat until bubbles appear then turn over and flatten with a palette knife. Fry for another minute or two until cooked through. Keep warm whilst you cook the remaining mix. Serve with chopped fresh fruit and honey or a spicy drizzle (See “Poached plantain in spicy drizzle” recipe). Scatter with toasted desiccated coconut. No Replies to "Sweet tatale"